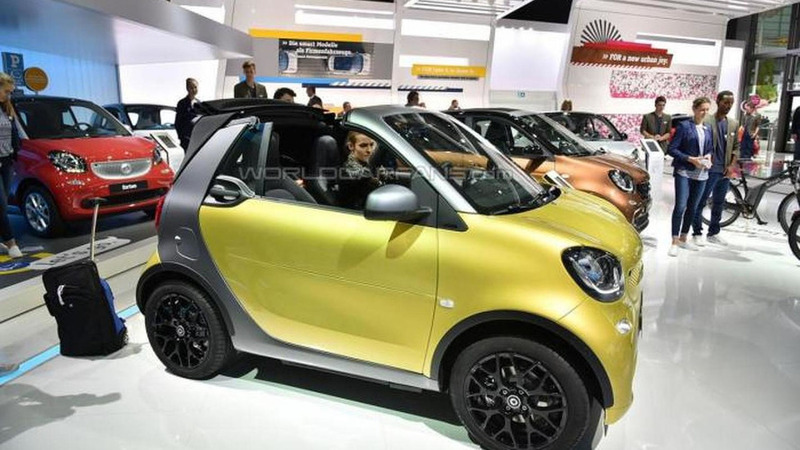 The Frankfurt Motor Show continues as Smart has taken the wraps off the new ForTwo Cabrio. 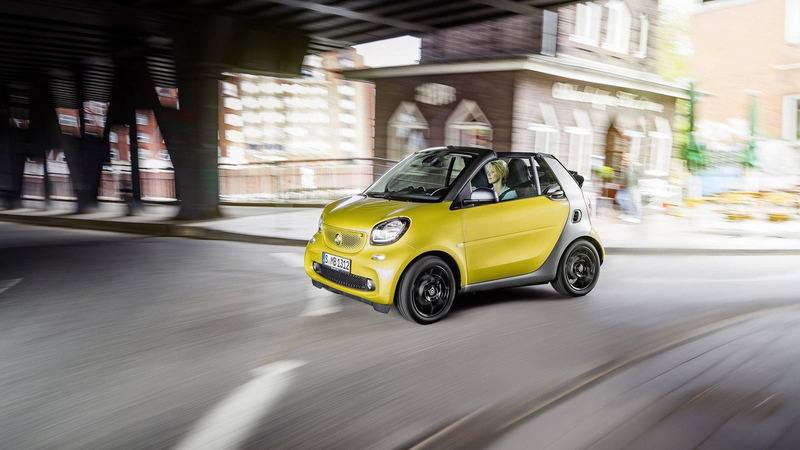 Set to arrive at European dealerships early next year, the redesigned convertible is based on the ForTwo Coupe and features a power retractable canvas roof - with a glass rear windscreen - which opens in just 12 seconds. The roof bars can also be removed and stored in a specially designed compartment in the trunk. At launch, the ForTwo Cabrio will be offered with two different three-cylinder engines that have outputs of 71 PS (52 kW) and 91 Nm (67 lb-ft) of torque as well as 90 PS (66 kW) and 135 Nm (99 lb-ft) of torque. Regardless of which engine is selected, they can be to either a five-speed manual or an twinamic dual clutch gearbox.